With the launch of the latest Jurassic Park movie, we’re sharing all the places you can get up close and personal with dinosaurs. 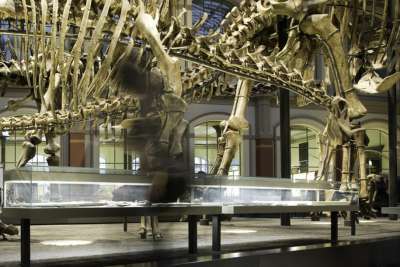 We’re not talking about naff tourist attractions with plastic recreations of a T-Rex but museums where you can see real dinosaur bones and get the facts about these fascinating creatures. You can never tire of seeing the magnificent dinosaur structures on display in the heart of London at this world famous museum. 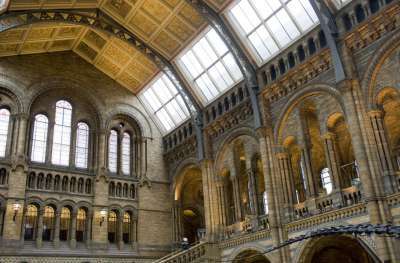 Highlights include "Dippy" the Diplodocus and the first T-Rex fossil ever found. If you are feeling really brave then watch out for one of the "Dino Snore" events where you can stay overnight under the watchful gaze of one of the museum's dinosaurs. London is not the only place you can see a dinosaur in the UK. Further north check out the New Walk Museum and Art Gallery in Leicester. 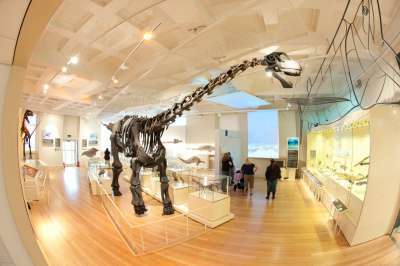 It has a Dinosaur Gallery featuring the Rutland Dinosaur, a Cetiosaurus, which was found close by to Leicester in the UK's smallest county. The gallery also includes interactive, hands-on activities and cutting edge reconstructions of marine reptiles. 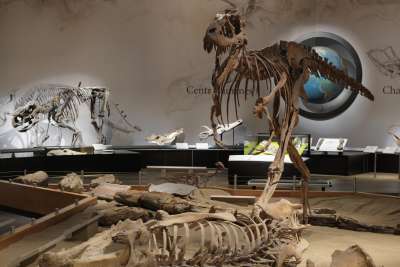 Berlin’s natural history museum conducted a massive excavation of dinosaur bones in Tanzania in the early part of the 20th century. As a result, a colossal 250 tonnes of bones were extracted and taken back to Berlin to build a number of dinosaur skeletons. The centrepiece must be Brachiosaurus which, at a height of 13.27 metres, is the biggest mounted dinosaur skeleton in the world. Not all dinosaur skeletons are viewed in a city centre museum. The Dinosaur National Monument is part of the US National Park Service and offers visitors the opportunity to view a quarry wall of dinosaur bones including a Diplodocus and a Stegosaurus. They even let you touch a dinosaur fossil. 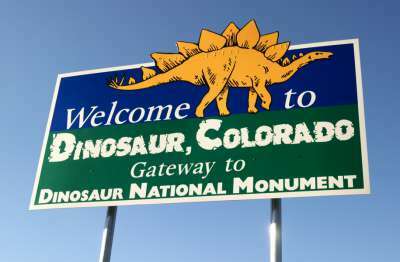 The nearest town to the monument, not wishing to miss out on the tourist buck, renamed itself as Dinosaur, Colorado and many of its streets are named after famous species. There are plenty of hotels and restaurants for you to rest and refuel after a long day exploring. The star attraction in this museum is Sue the T-Rex. Measuring 42 feet long, the museum boasts that this is the best preserved and most complete Tyrannosaurus Rex in the world. You can see Sue's skull up close with 58 of her teeth in view. Throughout the museum, you can find more about Sue and what the museum has learnt from her. You'll want to pack your camera for this museum visit. 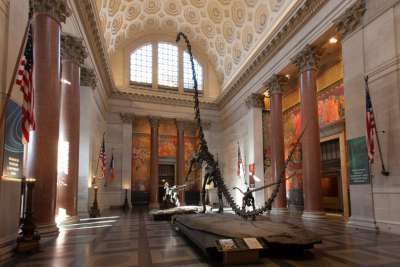 Enter into this museum in heart of Manhattan and be greeted by a magnificent Barosaurus freestanding skeleton mount. It is rearing up to protect from an attacking Allosaurus and is breathtaking in its height. Go further and uncover two massive halls of fossils from dinosaurs such as a Tyrannosaurus Rex, Velociraptor, Stegosaurus, Diplodocus and Triceratops. 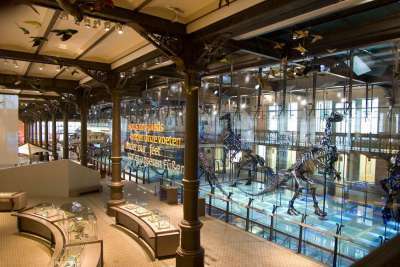 With the largest gallery in Europe dedicated to dinosaurs, there are over 30 skeletons which are protected by a 300 m² glass case. Bones were initially discovered in a coal mine in Belgium and you can find out more about this remarkable find and other interesting facts on the dinosaurs on view. Located on the outskirts of Australia's capital, this museum shows off Australia's largest permanent display of dinosaur fossils and models. Visitors are encouraged to get involved in a range of interactive activities to discover more about how dinosaurs lived and survived. 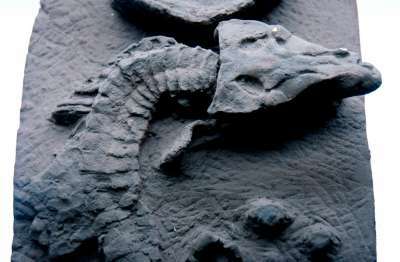 You can touch a 500 million old fossil, a 150kg meteorite or some dinosaur dung from 100 million years ago. Zigong is a city two hours south of the Sichuan capital of Chengdu . 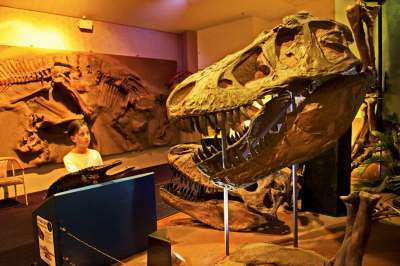 Back in the the 1980s a large number of dinosaur fossils were discovered just north of the city and subsequently Asia's first dinosaur museum was created right by the excavation site. Dinosaur bones from Zigong now travel the world, so you may find specimens in other museums we’ve mentioned. 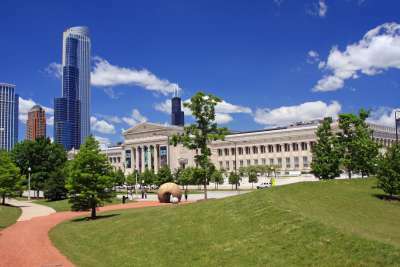 Seven million visitors now visit the museum each year which earns it a place as one of China's top forty attractions. The thing that stands out about this museum is the wide number of educational programs and experiences you can participate in. Join a 90-minute “Dinosite” hike into the museum's quarry area, take part in a dig experience or even create your own dinosaur replica fossil. Families can sign up camp-ins where you can sleep next to the dinosaurs or join a science camp and stay in an authentic teepee. If this all sounds too exhausting then there are more traditional dinosaur exhibit galleries where you can view a large range of reconstructed of skeletons from a Triceratops to North America’s largest T-Rex. The museum is situated one and half hours from Calgary, in the heart of the Canadian Badlands.